Victoria BC Ska Society is proud to bring together The Tequila Mockingbird Orchestra, The Party On High Street and Fox Glove as a finale to our fall season - Sat. November 21st at White Eagle Hall. This show will be for all ages to enjoy (Bar for those 19yrs+). This mixture of bands will offer something for everyone. Both The Tequila Mockingbird Orchestra (TMO) and The Party on High Street have music that will make you dance with the high energy folk, funk and a little ska but TMO has also developed a potent musical repertoire with beautiful folk ballads building on their previous albums. 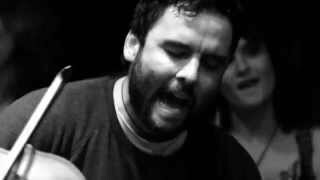 The Tequila Mockingbird Orchestra's new album "LOVE" about that much-storied sentiment that is certainly no stranger to a song. 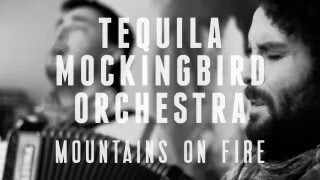 What makes The Tequila Mockingbird Orchestra’s love songs unique is that it collects differing experiences into one harmonized narrative, teasing apart the layers and revealing how hard good people work to be good to each other. It’s an album that speaks to the consequences of love in its many forms, seeing it as both sugar and lemons, suggesting that to have one without the other would make the recipe incomplete. The Party on High Street have been a longtime musical fixture in Victoria's music scene. They are a lively dance-inducing mix of funk, folk and jazz fuelled rockn' roll, joyfully delivered and presented like a funbomb waiting to make you jive. "The Party" sings of peculiar youthful enchantments, weird love, and some of the odder aspects of life. Touring and playing live shows has fed their spirits and stroked their souls since the beginning. Every summer the band travels further into the Canadian festival scene playing the campfires and stages, bars and backyards. A quote to describe The Party on High Street is as follows: "If George Clinton and Tom Waits had a love child, raised it on a music commune and then sent it to folk festival summer camp.."
Finally Victoria BC Ska Society are also proud to present Fox Glove for the first time on this show. These three foxes met in the University of Victoria Vocal Jazz ensemble in 2011, and struck up a musical relationship that couldn’t be ignored. Accompanying themselves with a suitcase-full of instruments, including guitar, ukulele, and banjo, Fox Glove entertains their live audiences, filling in the spaces with banter that has caused listeners to (cheekily) suggest a career switch to stand-up comedy. Giving back to the community is a passion for these three ladies. They love performing at fundraisers, and playing music for the greater good!